Hennebery Eddy Architects is honored to receive the 2018 Firm Award from the American Institute of Architects Northwest and Pacific Region (AIA NW+PR). This award recognizes excellence in design, practice and contributions to the profession, a commitment to community engagement, and the creation of a culture and exceptional work environment to foster these achievements. Thank you to all of our clients and design partners who have been a part of Hennebery Eddy’s success story. 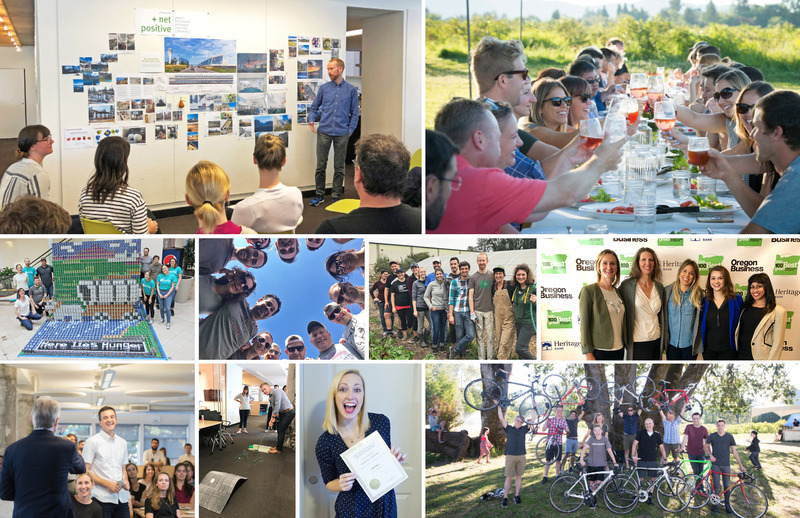 In Portland and throughout the Pacific Northwest, we are surrounded by firms whose design work, culture, and record of excellence in sustainability and community engagement are inspiring. The strength of our peer set makes this recognition humbling and reinforces our commitment to how we practice: collaboratively, rooted in our values, and continually striving to improve. Since our founding 26 years ago, Hennebery Eddy has emphasized professional development and personal growth and expression among staff. This culture encourages design input from all staff members and clients, resulting in award-winning projects that exceed their goals in design, programmatic response, and sustainable solutions. Receiving the Firm Award is a testament to the strength of our relationships with our clients and partners, and to all of the thoughtful, talented people who have contributed to our portfolio over the years. In the past two years – including our 25th anniversary year – Hennebery Eddy has achieved a personal best: we worked on the designs of our largest, most sustainable projects to date, by our most diverse staff to date, and these accomplishments are reflected in our debut on the Architect 50 and being named one of the 100 Best Green Workplaces in Oregon. Yet our attitude remains that to have a net-positive impact on our community, there will always remain a need for continual reflection and growth in our approach to sustainable design, nurturing our culture, and growing our business. So long as we continue to operate in a thoughtful and balanced way, we hope to be known as a desirable, aspirational, and thoughtful firm, engaged in how we serve the world as a design partner, employer, and steward of global resources.